CENTRAL ISLIP, Long Island (WABC) -- Police have arrested a Central Islip woman on charges of driving while intoxicated after she was involved in a motor vehicle crash with three children in the vehicle. 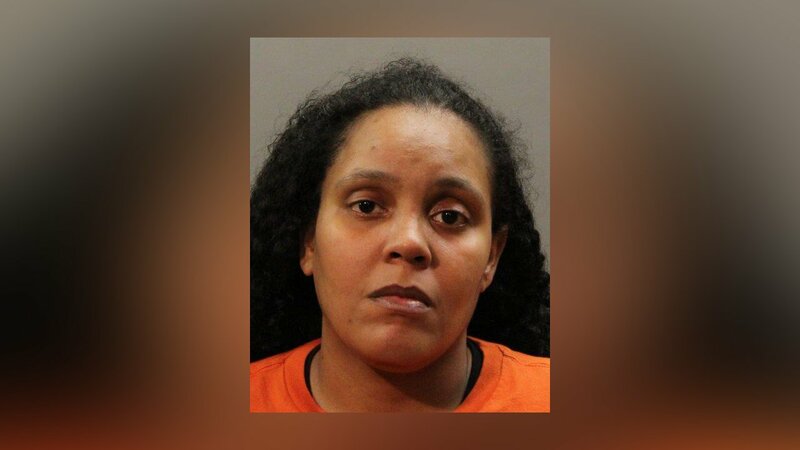 According to Suffolk County Police, Sabrina Andrade, 28, was driving a 2006 Infiniti with three children in the car, ages 3, 7, and 9, on Connetquot Avenue when she crossed over into the eastbound lanes and crashed, head on, into a 2015 Ford SUV operated by a 46-year-old woman who had a 14-year-old passenger in the vehicle. Andrade fled the scene in her vehicle and continued westbound until she drove through a guard rail on the north side of Connetquot Avenue and hit a tree, according to investigators. Andrade was transported to Southside Hospital in Bay Shore where she was treated for a minor laceration to her forehead and released. No other injuries were reported to have been sustained by anyone else involved in either crash. Andrade was arrested and charged with Aggravated Driving While Intoxicated with a Child Passenger 15 years Old or Younger (Leandra's Law), Driving While Intoxicated, Aggravated Unlicensed Operation of a Motor Vehicle, Leaving the Scene of an Incident, Failure to Comply with Interlock Requirements and three counts of Endangering the Welfare of a Child. The children were released to family members.